If your Estate plan already includes a trust — or several — you already know how flexible and useful trusts can be. However to the uninitiated, trusts can seem confusing and intimidating. Are they able to reduce my tax liability? Can they hold back an inheritance until a child is mature enough or reaches legal age? Can they help me insure my wishes are carried out when I’m no longer around to argue the point? Trusts can do all of that, and more, and though many are as complicated as the tax codes they seek to avoid, they have an important place in any comprehensive estate plan. What is a Trust Fund or Trust? A trust is a legal entity that holds assets for the benefit of another. Basically, it’s like a container that holds money or property for somebody else. You can put practically any kind of asset into a trust, including cash, stocks, bonds, insurance policies, real estate, and artwork. The assets you choose to put in a trust depend largely on your goals. For example, if you want the trust to generate income, you may want to put income−producing securities, such as bonds, in your trust. Or, if you want your trust to create a pool of cash that may be accessible to pay any estate taxes due at your death or to provide for your family, you might want to fund your trust with a life insurance policy. There are many reasons people use Trusts to protect their inheritances both before and after death. Here are a few of the most common. To Protect And Control the Transfer of Wealth To Your Heirs – though it might seem counterintuitive, trusts create more flexibility and control than giving away property outright. To Reduce Estate Taxes – trusts can be used to exclude some assets from your taxable estate. You can also obtain tax benefits during your lifetime by creating a trust that will fulfill your charitable donation objectives at your death but that provides you with income until then. To Protect Assets From Creditors – Trusts can be structured to provide additional protection for divorced children and grandchildren. Trusts can also help beneficiaries with disabilities, especially if they incur substantial healthcare costs. Avoid the Expense and Delay of Probating Your Will. Transfer Assets to Beneficiaries in Lower Tax Brackets. 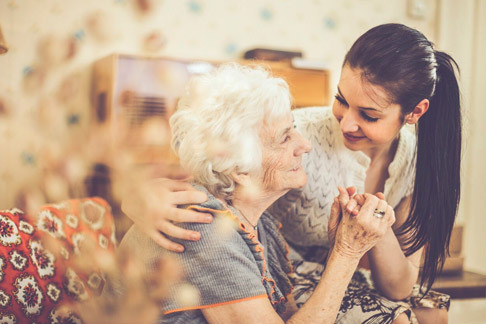 To Fulfill Philanthropic Commitments – Trusts can be designed to ensure that your family’s philanthropic vision is translated into a strategy that results in meaningful impact, and even involves your children and grandchildren. The key to making Trusts work for you is to work closely with an adviser who truly understands your objectives and your specific financial situation. They must have the necessary expertise in estate, tax and investment planning. Then choose an expert trustee with the resources to assume fiduciary responsibility for implementing your plan, now and in the future. SCC Legal will take the time to explain and recommend all the Trust Fund vehicles available and appropriate to your individual situation. Our strategies and sophistication in the use of these elements creates the strength and security you are looking for in your estate plan. Call Us today to schedule a free consultation we will begin to get your asset strategy in order.